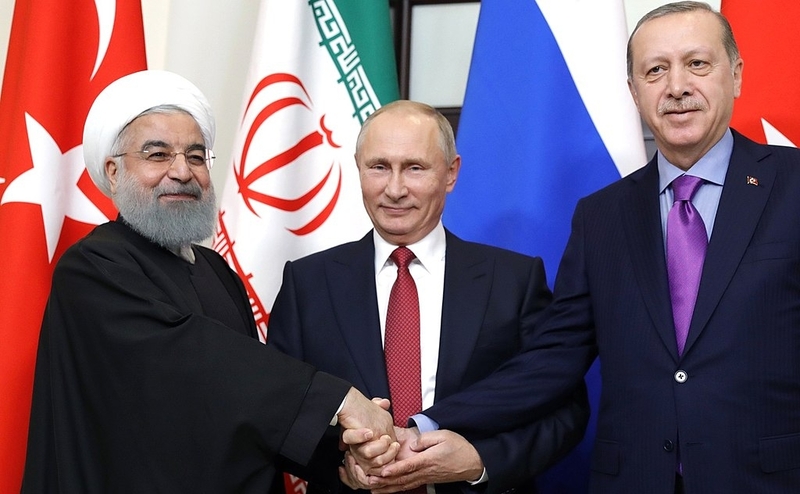 For Russia, Turkey and Iran, the terrible troika, Syria is an ungoverned territory, the future of which must be decided without its "inhabitants." All three wish to dilute the Arab aspect of Syria's identity. The official media in the troika is full of supposedly learned papers claiming that only 50 percent of Syrians are Arabs. All three oppose naming the future state as "Arab Republic of Syria." 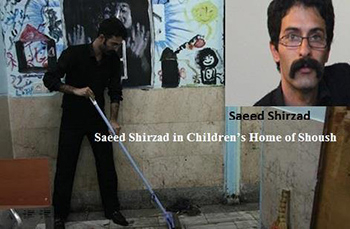 Iran is campaigning for the term "Islamic Republic," which is also used in Pakistan, Afghanistan, Sudan and Mauritania. The Russians want a federal system that would enable them to hang on to their enclave on the Mediterranean regardless of what happens to the rest of Syria. The Turks and Iranians oppose federalism because they fear Syrian Kurds might end up with an autonomous state of their own. Syria isn't a blank page on which the Russo-Turco-Iranian wannabe empire builders could draw whatever they dream of. The international community should not accept the re-emergence of a 100-year old colonial monster. Had I believed in the transmigration of souls, I might have thought that the spirit of a French aristocrat from some 100 years has slipped into the body of a Russian apparatchik today. The Frenchman was the Viscount Robert de Caix de Saint-Aymour. His Russian reincarnation is Alexander Lavrentiev, Russia's Special Presidential Envoy for Syria. What links them is Syria, a land under French occupation 100 years ago and now partially occupied by Russia. Caix was sent to Syria as Consul General with a mission to decide what to do about a chunk of territory, some 200,000 square kilometers to be exact, snatched from the crumbling Ottoman Empire. Within weeks, Caix had concluded that the territory in question had no distinct identity in terms of nationhood as defined by the Westphalian Treaties that midwifed the birth of modern European nation-states. In other words, the territory was a blank page on which the French could draw whatever shape they liked. The solution he came up with was to rename the territory as Syria, a term dug up in Byzantine history, replacing the term Shaam under the Ottomans. Then he asserted that "Syria does not exist, and will never exist." The reason, he argued, was that the estimated 1.8 million people who inhabited the area were divided into "countless ethnicities, languages and faiths". The best, not to say the only, way would be to carve the area into two states plus three mini-states built around one of the larger ethnic and/or faith communities. Caix's plan was sidelined by a secret accord between France and Great Britain that led to the creation of Lebanon as a state for Christians and Syria as a kingdom for one of London's exiled Hijazi allies. In the process, a piece was also handed back to the Turks who, having been enemies in the First World War, had become potential allies against Bolshevism in former ally Russia. Despite revolts and years of insurgency by the local population, the carve-up went relatively easily because Syria, like any other area emerging from any imperial rule, did not have a national identity in the modern sense of the term. Had Caix studied history he would have learned that his own country, France, had had a similar experience after the disintegration of the Holy Roman Empire and the emergence of a Frankish kingdom. On the eve of the French Revolution in 1789, only 12 per cent of the population of the kingdom, divided into over 30 different ethnicities, spoke French. Like other modern European countries, it took centuries for a French nation to be formed and centuries more for that nation to express itself in the form of a state. In Syria, the path to nationhood and, later, statehood was different. In Europe, the nations had created their states. In post-Ottoman Levant, the creation of a state preceded the birth of a nation. That is not so unusual. The United States is, perhaps, the best example of the birth of a state preceding that of the nation that it is supposed to represent. There are numerous other examples including India, Pakistan, Bangladesh and virtually all African and Latin American states. Over the past 100 years, the many peoples of the "area" that Caix had treated as a jumble of conflicting identities have blended together to create a Syrian nation with its own identity. Regardless of ethnic, religious and, in a few cases, even linguistic differences, they all share a certain Syrian-ness, to coin a phrase, which would be wrong to ignore. That Syrian-ness is a tangible reality in every walk of life that expresses distinct nationhood, including a desire for self-determination. Fast-forward to Lavrentiev who, like Caix, seems to believe that there is no Syrian nation and that he and his partners from Ankara, not to mention second fiddles from Tehran, have the right, indeed the duty, to decide the future of Syria, starting with the writing of a new constitution. In the Russian resort of Sochi next week, Lavrentiev is to present his report to President Vladimir Putin, flanked by his Turkish counterpart Recep Tayyip Erdogan and his Iranian partner Hassan Rouhani. Curiously, even the Assad regime, now a ghost of its past, is not invited to Sochi to at least show the flag. For Russia, Turkey and Iran, the terrible troika, just as Caix thought in his time, Syria is an ungoverned territory, the future of which must be decided without its "inhabitants." Factually, if not symbolically, it is true that Syria no longer has a legitimate government. That, however, does not mean that it has ceased to be a nation-state and thus deserving treatment as such. Taking into account obvious differences between the two situations, we have a similar configuration in Venezuela, which has ceased to have a legitimate government but has not disappeared as a nation-state. To complicate matters, the self-styled troika is divided by their recipes for Syria. Erdogan prefers the term "Syrian state" while Putin would be happy with "Federal Republic of Syria". The Russians exaggerate the number of Christians whom they claim to protect. The Turks have all but invented a Turkic community that is supposed to seek a leading role in Syria's future. The Iranians are making an amalgam of many communities under the label of "fatimiyoun" to claim that their brand of Shiism is bigger than one percent it really is. Like 100 years ago, Syria is under foreign occupation -- this time by Russians, Iranians and their mercenaries, Turks and, until they leave, Americans. The comparison with Germany and Japan after the Second World War, where the American occupier imposed constitutions of its choice to create new nation-states, is disingenuous. Germany and Japan had been at war with America and, by surrendering to it, had ceased to be independent nation-states. This is not the case in Syria today.